While finishing high school in Swift Current, Saskatchewan Brad was riding and showing reining horses with Vicki Braun and Wayne Latimer throughout Alberta and Saskatchewan. Upon graduation, Brad headed down to Texas and began riding with fellow Canadians, Steve Braun and Gaetan Gauthier. 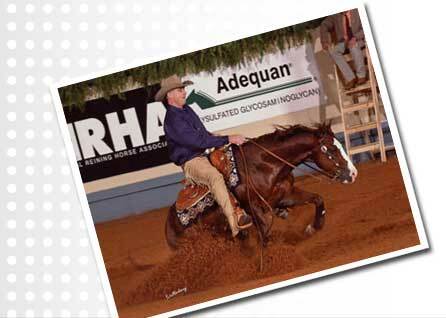 In 1996 Brad accepted an offer to work in Germany training and showing reining horses. The five years that Brad spent in Germany was a great experience for him. He gave many lessons and clinics and his show career took off when he won Reserve European Jr. Reining Champion and German Reining Futurity Champion. Brad moved back to Texas in 2000 and started his own business at Braun Ranches. There he spent most of his time training young reining horse prospects that they would sell in the fall horse sales. During this time Brad also got the opportunity to show and was successful in many prestigious shows in the U.S. In 2006 Brad got a new job offer and moved to Montana to work for Manntana Reining horses owned by Howard Mann. Brad spent two years here and worked with Duane Latimer as his training and coaching assistant. Brad headed back to Texas in 2008 to pick up his own training business once again. This time out of Sterling Ranch in Pilot Point, Texas, owned by Rosanne Sternberg. Brad is currently still working out of Sterling Ranch and has been very successful in the past two years. During his spare time Brad enjoys outdoor activities like back country snowmobiling, fly fishing and four wheeling. He watches all Team Canada hockey games and is a fan of the Dallas Cowboys and Saskatchewan Rough Riders. Brad also enjoys playing poker and Texas hold' em.